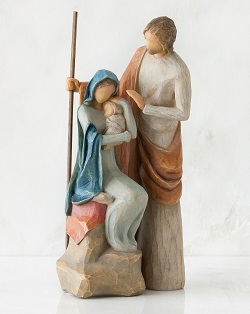 Jim Shores Holy Family with Stable is a beautifully handcrafted depiction of the very first Christmas. 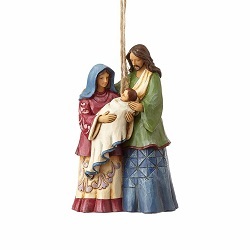 Decorated in Jims rich color palette and folk art techniques, this unique two-piece gift set tells the timeless story at the heart of the season. 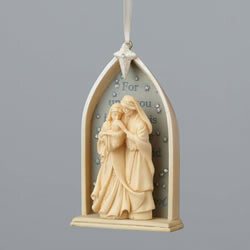 Jim Shore’s Holy Family ornament is a handcrafted depiction of the First Christmas. 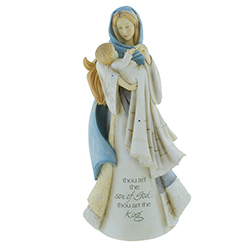 Sculpted from stone resin, this exquisite work of art uses a rich color palette, quilt patterns, and folk art motifs to convey the heartening reason for the season. 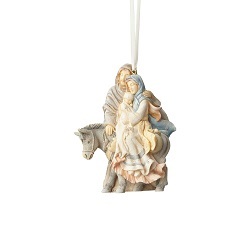 Invite the true spirit of Christmas into your home or workplace with one of our beautiful LDS nativities. 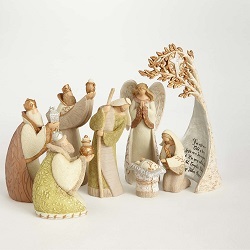 From expansive sets to singular pieces, there are multiple styles to choose from. 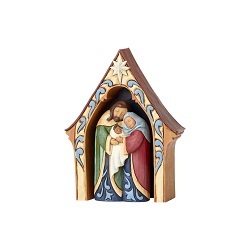 A nativity from our collection will sure to become a treasured holiday tradition for years to come. Find your favorite today!